So I've been thinking about getting a sewing machine and learning how to sew for quite a while now. We have some fabulous books at work on making clothes and other cool stuff and I am desperate to give it a go and maybe make some nice skirts. The thing is I know nothing about sewing machines so I don't know what I am looking for. I also don't want to spend shitloads of money and some of those babies are over a $1000, although I don't think those are quite aimed at beginners! :) So I'm calling out to anyone who knows anything about sewing and sewing machines for advice on what I should get/look for. Please help me, all suggestions appreciated! Are you prepared to spend $1000??? (as in just not OVER $1000?) - Bernina really is the best. However, Target and Spotlight keep putting out a basic brother for $150 ~~ - which is a reasonable machine and good for a newbie. I'd start with that and then upgrade. Or else another brand if they use the same bobbins as Bernina, because they are the same sort so save you buying more down the track, but not a big cost so not a big deal. Ooo, excellent! That does sound like the way to go...$150 is cheap enough that I can justify to the hubby getting a more expensive, better Bernina when I improve! Thanks Alycia! I've seen those sewing and embroidery machines-in-one at the craft fair...those things are amazing, I'd spend over $1000 on one of them! 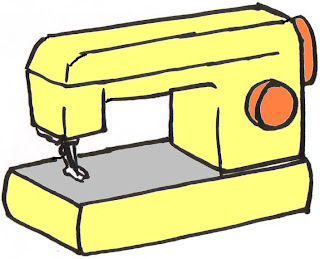 The creator of this blog has HEAPS of info on the best sewing machines to buy based on your wants and needs. Really helpful. I am also a beginner. I have borrowed a friends old machine and have started making my daughter a little Pinny. I recommend buying the Meet Me At Mikes craft book - It has 26 crafty things to make for beginners... a skirt, cute wheat bag, baby booties and more! I have borrowed my Mum's sewing machine as she's not using it right now, but I haven't used it yet. I think it's a Janome. I REALLY want one of those cool Brother Embroidery machines though, they look like a lot of fun, but there's no way I am forking out several thousand on a sewing machine right now! Good luck with your quest. Thanks for the great advice guys! So excited now, wonder if I can talk the hubby into going shopping on Saturday? Sunday is my birthday after all and I don't think he has a pressie for me yet! Good luck with your sewing journey! It's wonderful once you can confidently pick up a pattern and know that you can make it (time permitting, of which I completely lack!) or else when you see fabric and imagine that it would be great as a dress/pants/skirt etc and can actually MAKE it!